Martha Garcia, was a workers’ compensation attorney with Katz Friedman since 1986. She concentrated her practice in workers’ compensation, with extensive experience in the airline, education and healthcare industries. Because she worked in health care and labor relations in the medical arena prior to becoming a lawyer, she often drew on her experience in counseling her clients and achieved the best possible result in their workers’ compensation case. 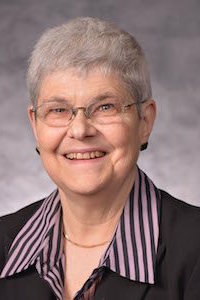 Martha has been a frequent lecturer on workers’ compensation and disability and employment law. She has authored several articles in the legal press on the subject of disability discrimination. She has also authored and co-authored articles on workers’ compensation, most recently “Disability Evaluation” in Illinois Workers’ Compensation Practice (2011) for the Illinois Institute for Continuing Legal Education. She has served as chairperson of the Chicago Bar Association’s Workers’ Compensation Committee. Martha is also an adjunct professor of law at Chicago-Kent College of Law, Illinois Institute of Technology where she teaches workers’ compensation law. Martha earned a B.S. degree from Northwestern University in 1975 and received her Juris Doctor from the Chicago-Kent College of Law, Illinois Institute of Technology in 1986 with High Honors. She is a member of the American, Illinois and Chicago Bar Associations, American and Illinois Trial Lawyers Association, Workers’ Compensation Lawyers Association (Illinois) and several other legal and health care professional organizations. Outside her office, court or lecture podium, Martha has a fondness for eco-travel in warm and exotic places and singing in the Chicago Bar Association Chorus. In December 2017, Martha retired from practice, but her efforts and accomplishments continue to be felt in many ways today, including being reflected in the numerous lawyers she educated and mentored.